Stunning interiors that leave you speechless. 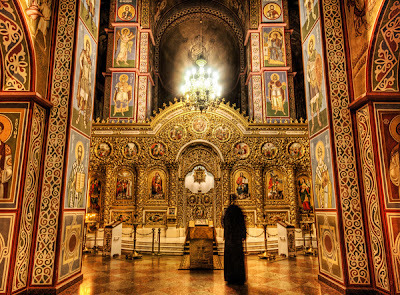 The Byzantine golden decorations, mosaics, and frescoes embellish the interior of the historical St. Michael's Monastery in Kiev, the capital of Ukraine. Built in the 11th century by Sviatopolk II, the supreme ruler of the Kievan Rus, the complex comprises the Cathedral itself, the refectory and the monastery's bell tower. 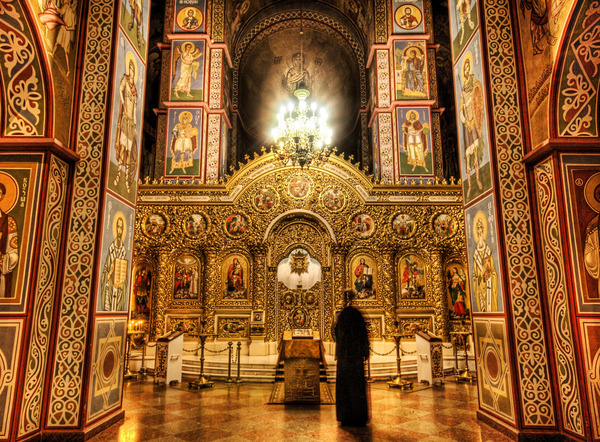 Despite the fact that the exterior of the church has been rebuilt several times, the interior has kept its original Byzantine style. The Vatican Museums originated as a group of sculptures collected by Pope Julius II (1503-1513) and placed in what today is the Cortile Ottagono within the museum complex. 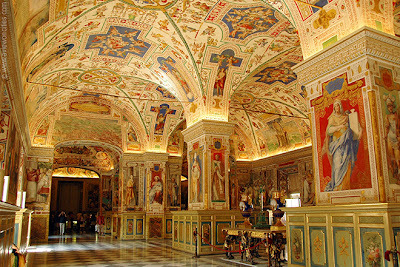 The popes were among the first sovereigns who opened the art collections of their palaces to the public thus promoting knowledge of art history and culture. As seen today, the Vatican Museums are a complex of different pontifical museums and galleries that began under the patronage of the popes Clement XIV (1769-1774) and Pius VI (1775-1799). Grand and colourful is the interior of the Notre-Dame Basilica in Montreal, Canada. The first parish church was built on the site in 1672 and then rebuilt in mid-19th century. 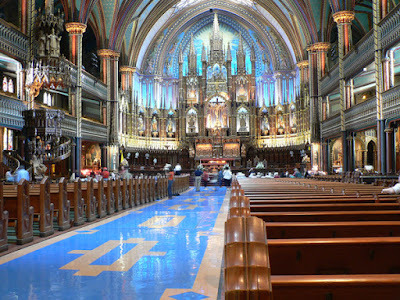 Today, the glittering interior of the basilica is one of the most unusual examples of the ecclesiastical architecture. The stain glass windows do not depict biblical scenes, but rather describe the history of Christianity in the city. The basilica is filled with hundreds of intricate wooden carvings, statues, and golden stars decorating the deep blue ceiling of the church. 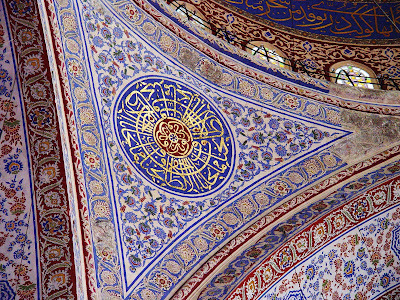 The Sultanahmet Mosque, known as the Blue Mosque, is the central element of the complex built by Ahmed I (1603-1617) and was completed after the sultan's death in 1617. Its architect is Mehmed Aga (d.1622), whose epithet "Sedefkar" refers to his mastery in mother-of-pearl. 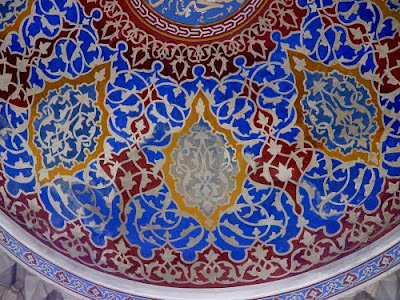 The mosque is considered to be the last example of Ottoman classical architecture; Mehmed Aga was an apprentice under Sinan (1450?-1588) and Davud Aga (d.1598), two architects whose works have defined the style of this period.